Roatan, Honduras- Pristine Bay Resort — one of the western Caribbean’s most-anticipated resort communities — announces six new luxury villas are now available for vacation rentals on the idyllic tropical island 40 miles off the coast of Honduras. 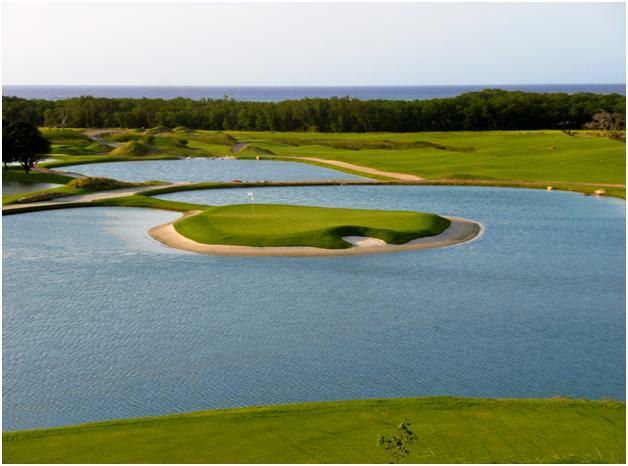 The 2,400 square-foot, two-bedroom villas are ideal as luxury lodging when playing The Black Pearl – Roatan’s first golf course. 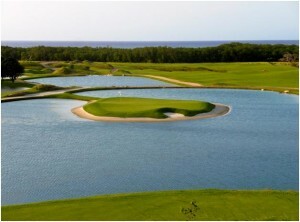 Opened for play in January and designed by Perry and Pete Dye, it features a signature island green and 14 holes with mesmerizing sea vistas. The Resort and Spa at Pristine Bay, the island’s first five-star accommodation, is slated for a “soft opening” in August 2011. Long a haven for scuba aficionados, the island boasts the spectacular Meso-American Barrier Reef — the world’s second largest and a “must visit” for those seeking one of the striking seascapes on Earth. To fully enjoy Roatan, Pristine Bay Resort will customize packages that include the deluxe villa accommodations and championship golf, as well as, delicious local dining, all island transportation, zip-lining, deep sea fishing, diving, snorkeling and even swimming with dolphins in the crystal clear waters of Caribbean.